The vineyards of Sette Ponti in central Tuscany were once owned by Italian royals. In the 1950’s princesses Margherita and Maria Cristina di Savoia Aosta sold the land to the Moretti family who to this day run the impressive wine estate. This is what you are looking for in a Supertuscan; balance, texture, polished tannins and a full spectrum of fruit flavours. The wine is full-bodied and concentrated, yet there is still a freshness to this that adds elegance to the wine’s powerful side. 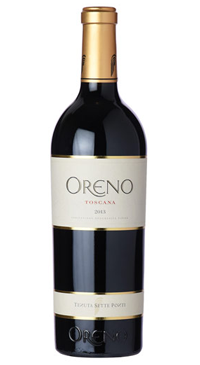 This is a blend of Cabernet Sauvigon, Merlot and Petit verdot.